Photo: Pahaska Tepee, 2 miles east of Yellowstone National Park entrance, built by William "Buffalo Bill" Cody in 1904 to accommodate park tourists. Listed on the National Register of Historic Places in 1973. Photographed by User:Acroterion (own work), 2007, [cc-by-3.0 (creativecommons.org/licenses/by/3.0)], via Wikimedia Commons, accessed October, 2017. The Park County courthouse is located at 1002 Sheridan Avenue, Cody, WY 82414; phone: 800-786-2844. 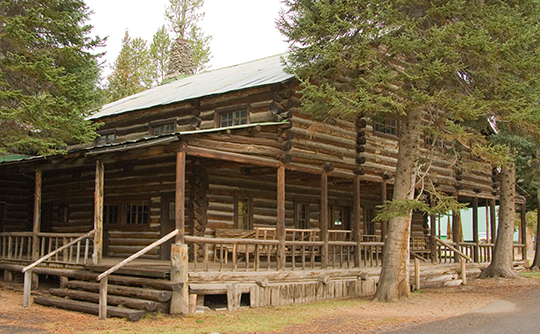 Park County was established in 1909 and organized in 1911. The county is comprised of more than 3.3 million acres of land of which only 23% is privately owned.